There is one nasty pitfall of the so called social media, and that is that sometimes you read about people who have gone their separate ways because of unfortunate circumstances. 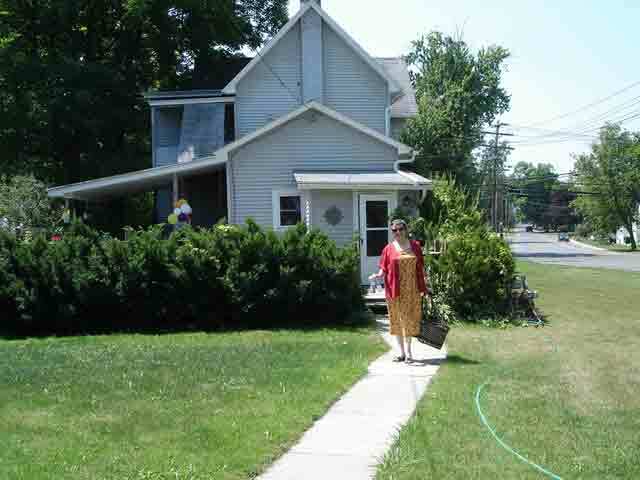 It was shocking and painful to read recently on the Syracuse Yahoo Group that Yvonne Murphy from Penn Yan, NY passed away around February 10. Actually we guessed that, as the message mentioned Yvonne by her first name in the context of a series of routine announcements (“While we are greatly saddened by the loss of our dear friend Yvonne, we hope you will still come to Geneva this Friday to help us celebrate her life, her love & her spirit.“) It wasn’t too hard to find her Facebook page to confirm the sad news, as we read the absurd habit of people talking to, rather than about dead people. We immediately thought about her husband Dennis, and we want to convey our condolences and sympathies to him, as we lowered our heads in prayers for the eternal peaceful rest of Yvonne’s soul. We met through our tango lyrics page when she first asked about the translation of Madame Yvonne, and that became her tango nom de plume. In 2007 she surprised us by traveling to the Hudson Valley to meet us at a workshop we were teaching in the region. 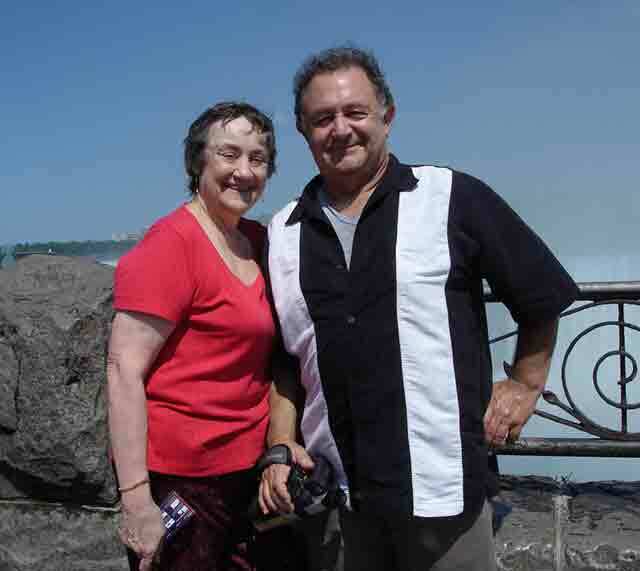 A few months later she and Dennis came to Buffalo to pick up us after another weekend of workshops, to take us on a quick trip across the border to the Canadian side of the Niagara Falls, before driving us to their home in Penn Yan, NY. There Yvonne proudly hosted her first milonga party to introduce us to her tango friends. During our stay in Penn Yan, we got to learn about the European Vinifera or Vitis Vinifera grape, arguably the best type of grape for wine making. It wasn’t until more recent times that vinifera grapes were grown in the finger lakes. It was originally believed that the cold winters would destroy the delicate vinifera vines. But because of the marvelous “tempering effect” of the Finger Lakes these varieties not only survived, but thrived to make some fantastic wines! Dennis drove us around the Finger Lakes where we were introduced to Cabernet Franc, a vinifera grape grown in the Bordeaux region of France, that had taken very well to the Finger Lakes region. Cabernet Franc is more hearty and full-bodied than Pinot Noir, but not as intense as Merlot or Cabernet Sauvignon. We became instant fans of the wonderful Cabernet Franc bottled on the wineries perched on the shores of the Finger Lakes. Now the wine will also celebrate the life and joy of Madame Yvonne, every time we raise our glass to toast her memory. That seems like a long time ago. Time grows older when friends part ways because of life demands.